Your family's comfort and safety is always high on your list of priorities so it makes sense to choose a family toilet seat if you have small children. This 2 in 1 family toilet seat combines a standard sized seat with an added children's toilet seat which can be folded away when not in use. A large range of our family toilet seats come with soft close functions. Choosing soft close family toilet seats means no more loud bangs when the seat is dropped accidentally and it can also prevent small fingers getting trapped. 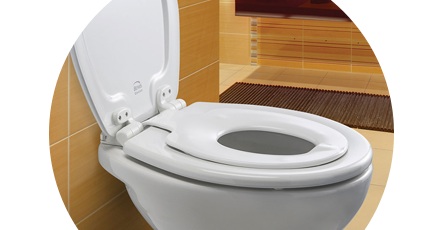 Family toilet seats are not just practical, they're also great quality and affordable. We understand that when you have a young family you're more than likely working within a budget. That's why we aim to keep our prices low whilst still offering the best quality toilet seats for families.